A new era is underway for the Murdoch clan with a new company, Fox Corp, now beginning trading in h US. 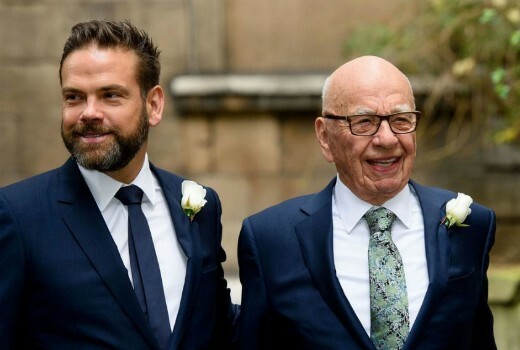 Lachlan Murdoch will run the new company as its chairman and chief executive while the Murdoch family will control the company through its ownership of voting shares. 88 year old Rupert Murdoch is one of several board members along with including former House Speaker Paul Ryan, Anne Dias, Chase Carey, Roland A. Hernandez. and Jacques Nasser. Fox Corp assets include Fox News Channel; Fox Business Network; two national Fox Sports channels, FS1 and FS2; the Fox Broadcasting network; and Fox’s chain of television stations, including KTTV Channel 11 and KCOP Channel 13 in Los Angeles. The new incarnation of Fox is a slimmer version of the old Fox after the family decided in late 2017 to break up their entertainment empire, with Disney as Murdoch’s preferred suitor. The Disney portion of the deal is expected to be complete today when the Burbank entertainment giant swallows the bulk of the Fox assets in a $71.3 billion sale. The Murdoch family stands to receive nearly $12 billion in cash and stock from Disney, according to Bloomberg. Disney is buying the 20th Century Fox movie and television studios with their rich vault of titles, including Modern Family, The Simpsons, Avatar and Deadpool. The goal is to ramp up a programming pipeline for a new streaming service, called Disney+, that the company plans to launch later this year. The Murdoch family will continue to control their publishing company, News Corp.
Well has been rumours Disney may just invest more in Hulu instead of launching a nea streaming service. Does this mean all active 20C Fox licensing across the world (TV networks such as Seven recently and home entertainment) as well as theatrical distribution will become void soon? All folding into Disney’s theatrical/TV/home ent divisions? Or unclear? Because similar did happen (as an example) when Disney bought Lucasfilm a few years ago, all Star Wars movies stopped being distributed by 20C Fox and went to Disney. Remember Seven suddenly gained rights and aired them all (used to be 10). I believe Fox still had Star Wars episode IV A New Hope rights under its belt. But obviously this changes all that. Not bad for an 88yr old man looks fit as ever gives me some hope…… then again! Gee, can’t all the Murdoch’s just go away? It’ll be interesting to see what Disney does with Hulu given its a competitive platform to Disney+ as well as a platform their competitors use as well.